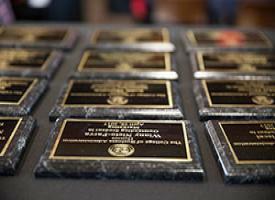 Honoring the entrepreneurial and community spirit of innovative leaders from the Central Valley. 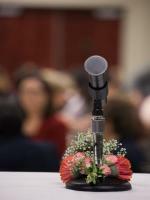 The Women's Leadership Forum is an annual event held each year during the spring semester. The purpose of this event is to engage our business students with local, successful businesswomen who may serve as roles models to the students. Invited speakers are women who hold or have held leadership positions or roles and are asked to share their experiences, stories, insights, and advice to students, staff, faculty, and community members. 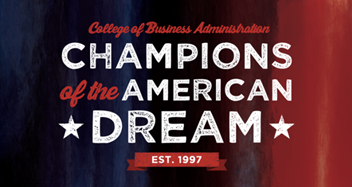 CBA Awards Night is an event to honor our students, staff, and faculty. This event honors our outstanding students, honor society inductees, and other award recipients. This career fair event is for students and recruiting employers. This event provides students an opportunity to learn more about careers and opportunities within their field of study and to network with companies to develop future contacts and employment opportunities. 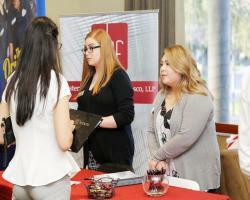 Recruiting employers are able connect with potential candidates from Stanislaus State. To learn more, click on the links below. 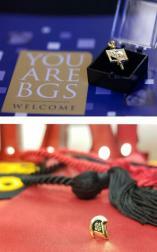 Beta Gamma Sigma is an international honor society that serves business programs accredited by AACSB International. Learn about Beta Gamma Sigma. Beta Alpha Psi is an honor organization for financial information students and professionals. Learn more about Beta Alpha Psi.